Being a parent is so hard that it sometimes seems impossible to tell whether you’re doing it well or not. 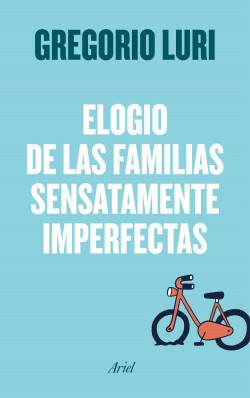 But let’s get back to basics: there are no perfect families and this book was written to celebrate that imperfection. During a period where confusion and overprotection are rife, Gregorio Luri dares to say clearly and out loud what is becoming increasingly forgotten: a child has the right to know that being disciplined is hardly more important than simply being intelligent. That much worse than making mistakes is refusing to learn from them, that you can have a lot of information at your fingertips and still be ignorant and that it’s still essential to learn the four magic phrases: ‘Please’, ‘Thank you’, ‘Sorry’, and ‘I trust you’. Finally a book that dares to say: “Enough already. I’m not a perfect parent and I’m proud of it.” There’s no such thing as perfect parents, but there are good parents.